As the Beatles once sang, “oh I’ll get by with a little help with my friends/yes I’ll get high with a little help from my friends.” In this case I received some illuminating help from my friend, journalist, researcher and activist, Barbara Honegger on my last article The making of 9/11 activists. As I wrote in it, Manny Badillo had related to me that he was a conservative in 2009, even attending a Tea Party in Boston for 9/11 Truth. I assumed and wrote: “Ironically, it was the conservative 9/11 Tea Party given in Boston in 2007 that put him on the path to 9/11 Truth.” The use of conservative was his, but the assumption that the Tea Party was a conservative property was mine. The truth is quite au contraire, as Barbara points out to me. And she should know, having initiated the vision for that very Boston Tea Party for 9/11 Truth. In fact, Manny’s awakening came at the Tea Party for 9/11 Truth in Boston on December 15 and 16 in 2007. That 2007 event and the original one-day Tea Party for 9/11 Truth held on the cobblestones outside historic Faneuil Hall on December 15, 2006, were conceived originally by Barbara Honegger and carried out with the help of her fellow progressives. But it was the larger 2007 event that opened Manny’s eyes and mind wide to the counter theories of what 9/11 really represented: a false flag operation to kick off the march to world hegemony executed by the Bush administration and its minions. This is no small point, no scholarly nit-picking. It is major. After all, it was the Progressives who had organized the first Boston Tea Party for 9/11 Truth on the anniversary of the original Boston Tea Party of December 16, 1773. The second annual Boston Tea Party took place in 2007, on Saturday December 15-16. 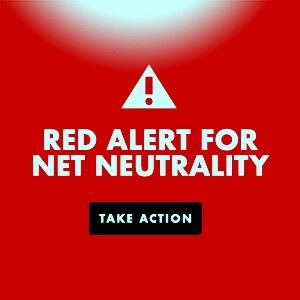 [See videos below.] In this clip, scientist Dr. Steven Jones, architect Richard Gage, engineer Kevin Ryan, and author Dr. Joel Hirschhorn, discuss the fall of Towers 1, 2, and 7 and the use of the explosive nanothermite. What is ironic — and which enabled what Honegger calls the theft of the originally-progressive Boston Tea Party vision by “the counterfeit Palin-Murdoch-Fox ‘Tea Party’ movement’” — is that the venue of the 2007 Boston Tea Party for 9/11 Truth — historic Faneuil Hall — that had been reserved by the progressive organizers for both weekend days, Dec. 15 and 16, was used by Libertarian Ron Paul for a fundraising event for his then presidential campaign on the 16th. When one of Paul’s Boston activists called the Hall to try to reserve it and was told that both days had already been taken by the Boston Tea Party for 9/11 Truth, he called one of the organizers and begged to be able to have the Hall for one of the two days. The organizer relented and allowed Ron Paul to use the hall on Sunday, Dec, 16. As a result, just the first of the two days of the 2007 Boston Tea Party for 9/11 Truth took place in historic Faneuil Hall, and then moved to Boston Commons for speeches on Sunday the 16th. Following the Commons’ speeches, activists marched to Moakley Bridge, where they tossed a huge foam replica of the 9/11 Commission Report stamped ‘REJECTED’ and dozens of faux cases of the Report into Boston Harbor (see Boston Globe’s photo coverage of the 2006 event.). Both days’ events gathered crowds of supporters — among them future 9/11 activist Manny Badillo — and shed a light across America as brilliant as the white Boston snow that lit up the Boston Tea Party Truth for 9/11. Ron Paul and his supporters thus were able to use Faneuil Hall on Sunday, December 16, 2007, for a “money bomb” campaign fund raiser. There, they found leftover posters and flyers created by the progressives for the previous day’s Boston Tea Party for 9/11 Truth here, and somehow the progressives’ Tea Party concept found its way into Libertarian Ron Paul’s campaign. See, CNN’s coverage linked above. So it was the progressive movement for 9/11 Truth that graciously lent independent Libertarian presidential candidate Ron Paul and his supporters the use of Faneuil Hall on Sunday, December 16, 2007. But — let it be duly noted — the 9/11 events’ lead organizers, Jason King and Rich McCampbell, agreed only to let Ron Paul use the hall and certainly not the original spirit of a Boston Tea Party for 9/11 Truth or anything else that day — or at any other time. This history is the key to understanding where the original Tea Party idea came from — it came from Barbara Honegger and her passionately independent Progressive allies. It is the true tale of how that original Boston Tea Party for 9/11 Truth, which was Honegger’s vision — a vision for a politically independent and progressive ‘Second American Revolution’ — happened to be co-opted by the right wing, which Honegger says is “the antithesis of everything our original Tea Parties stood for.” It was first lifted by Ron Paul’s Libertarians then fatefully stolen from him by the Palin/Fox/Koch Brothers/radical right-wing corporatist Republicans. Seeing how Paul and Palin are now candidates for the 2012 Republican presidential nomination, the corporatists would love to weaken, if not stop, the so-called Libertarian “Tea Party” influence on the future direction of the Republican Party. Barbara generously shared this history with me in phone interviews and corroborating documents. She modestly added that she happily preferred being called the ‘Patricia Henry’ of the Tea Party for 9/11 Truth, as activists often do, rather than the movement’s ‘mother,’ perhaps because Ron Paul has somehow claimed putative fatherhood for it — and then Palin became its wicked stepmother. Bottom line: trust in the progressives to lead, both today as yesterday. Barbara appreciated the focus on Manny Badillo in my article. She credits both Manny and Willy Rodriquez as the true heroes, being “the most articulate, informed and passionate spokespersons of the whole Movement.” This said, they had some real help from the third articulate hero, Richard Gage, with whom Honegger worked closely on a major surprise event sponsored by Architects & Engineers for 9/11 Truth on Sept. 11 this year in New York City. It was Honegger who originally thought of putting a Third Beam of light into the New York City skyline on the 9th anniversary of the Sept. 11 attacks to represent the truth about the controlled demolition destruction of WTC 7, at Gage’s February 19th 1,000 signatures press conference and activists’ strategy session in San Francisco. Gage immediately got totally behind the idea, with Architects and Engineers covering half the expenses. Honegger generously covered the other half. Honegger gives real meaning to the word “activist.” She played a major role in the planning and physical execution of the Third Beam project. This included researching and locating the uniquely small but incredibly bright spotlights called a.d. Lights, of which there are only four rentable on the entire Eastern seaboard with two that had to be driven up from Florida to New York City. She also handled contracts with the spotlight rental companies, interacted constantly with their owners and rented the truck that she and activist Steve White — who has gathered at least three of the dust samples near Ground Zero containing the red-gray thermite chips analyzed by Steven Jones — drove two of the four lights to their final location. And she and Steve also found just the right Honda EU-3000 generators that could power two lights at a time. And in a money-pressed movement, Barbara also paid for the generators’ rental. Seconds before 9/11 p.m., Barbara pressed the four ‘on’ buttons on the spotlights (what a thrill that must have been) and whoosh, up it soared. She also orchestrated getting telephone numbers for the NYC press and television newsrooms into the hands of attendees at the INN World Report conference on “How the World Changed After 9/11” which was still meeting near Walker and Church Streets a few blocks away. PR Newswire put out the release to all the 500 mainstream NYC media in their Metro distribution at exactly 9:11 p.m. The next morning, Barbara and Steve White returned the Vestal spotlights and — hopefully — were able to take a long deep breath. Phil Restino, an activist friend of Les Jamieson’s from Florida, drove the two Florida lights from there to New York City and back. And Manny and Richard were on all of the Third Beam planning calls with A&E members backing up the project. The historic Third Beam that finally shot high into the New York skyline at 9:11 p.m. on September 11 made an instantaneous and deep impression on everyone who saw it [see it [below]], but perhaps deepest of all for Manny who may have seen the soul of his lost uncle rekindled in that shining moment, as many others all over the area saw their lost ones rise again in this tribute to 9/11 Truth. Lastly, the Third Beam was not “a minor miracle” as I understated it originally. Given all the facts, it was a major miracle — thanks to Barbara and all the activists involved in this historic happening. In addition to conceiving and helping to implement the first 9/11 Boston Tea Party in 2006, and the second in 2007 that put Manny on the path to 9/11 Truth, Barbara was the first committed progressive and political independent whose resignation of conscience from the Reagan-Bush White House brought ten days of national and international publicity. She was also the author of the pioneering book October Surprise (Tudor, May 1989) that documents the high treason of the 1980 Reagan-Bush presidential campaign’s secret hostage-release-delay negotiations with the then-new Islamic fundamentalist regime in Iran. For all these reasons, Barbara adds, “the original 9/11 Tea Parties were and are anything but ‘conservative.’ They were radically independent and non-partisan — the proof being that “The Declaration of Independents” [that she wrote] was read aloud there. 911 Truth activists put up a third beam of light on September 11, 2010 alongside the 2, to remind the public that a third building also collapsed on 9/11: Building 7, the most obvious instance of controlled demolition, with only minor fires, and falling symmetrically into its own footprint at freefall speed. 3 BEAMS ARE TRUER THAN 2! Ahmadinejad: ‘Shift the balance of power’ + 9/11 was an Inside Job! This entry was posted in 9/11, All Posts News Politics and-or Videos, Dandelion Salad Featured Writers, Dandelion Salad Videos, Paul-Ron-MD, Politics, Republicans, Ron Paul and tagged 9/11 on Dandelion Salad, 9/11 Truthers, Barbara Honegger, Mazza-Jerry, Palin-Sarah, Tea Party, Tea Party on Dandelion Salad. Bookmark the permalink. Dave, I’m speechless. I think we’ve said all about this we possibly could,. Don’t you think? And, speaking of the Boston Tea party, as a diehard Yankee fan, I’ve watched Boston go down in the first game (of the last two) due to an error three of their infielders made in the top of the ninth, giving the Yankees the opportunity to score the winning run. The Yankeees are now leading in the second game, 4 to 3 in the 5th inning, although I don’t think the lead will last because these are two ferocious adversaries. But then that’s what makes for good basebal, and probably good politics. So, I’ve got to back to the action, you’ll excuse me. It has been a pleasure arguing with you. It’s good to know you’re a devout truther and a fair-minded man. We wouldn’t want Ron Paul or the Libertarian movement (which I basically see as a group of rich or near rich white people) to get a black eye. Alors, bon nuit and adieu. Jerry, I’ve been doing my best here to try to give you the benefit of the doubt. I think internal feuding within the 9/11 Truth Movement is very counter-productive, and I would really like to avoid that here. But your latest reply is making that difficult, as it’s hard for me not to get the impression that you’re intentionally missing much of my point and mischaracterizing the rest in your response. But I’ll try to work on the assumption that you simply failed to carefully read what I wrote, and urge you to go back and read it again. First, I’m not suggesting (as you seem to imply that I am) that the 9/11 TM members got their idea to have a Tea Party themed event from the libertarians. They likely weren’t even aware of the Libertarian group. As I said in my conclusion, which you should have read: “It looks like this is a case of two different groups using the same historical allusion for their campaigns, but ***neither*** “stealing” it from the other.” (emphasis added) Much of your latest reply seems devoted to refuting this straw-man argument which I didn’t even make. I think the only “idea theft” that *either* group is “guilty” of is from a group of 18th century activists. Second, I only provided one Wikipedia link, and my argument doesn’t rest on the validity of that Wiki article. The other links I provided were to 2006 editions of that party’s website from the Internet Archive’s Wayback Machine, which verify that the group did in fact exist at least as early as May, 2006. If a 9/11 Truth group were having a Tea Party themed event in, say August, and then a libertarian group asked to take over their venue halfway through, arrived to find Tea Party themed literature, and then went public with a Tea Party themed campaign of their own, then **that** would be suspicious. 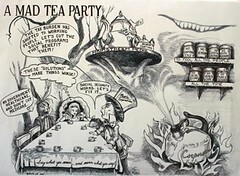 It would be quite a coincidence that they were wanting that same venue for that same random date in the middle of August, and even more of a strange coincidence that they would debut a Tea Party themed campaign right when the 9/11 TM group just did the same on a date nowhere near the anniversary of the 1773 Tea Party. If this were what happened, then you’d have a rather strong circumstantial case that they “stole” the idea to have a Tea Party theme for their campaign. But, since their event *was* on the anniversary of the original Boston Tea Party, it’s natural to presume that they were probably already planning on having a Tea Party theme. If your “idea-theft” theory is true, Jerry, this would mean (at least if I understood it right, do correct me if I’m wrong!…) this would mean that the Ron Paul campaign just coincidentally wanted to have their event on the anniversary of the 1773 Tea Party, but they had no idea that this date was in fact the anniversary and had no intention of having a Tea Party theme for their event until they saw the 9/11 Truth Tea Party literature leftover at the hall. This idea of yours, Jerry, is “conceivable,” but I don’t thing it’s very likely. And I would submit that the burden of proof is on you, Jerry, when you make these sorts of allegations – particularly against a group that is in many ways a natural ally of ours and shares many of our views. You need to have, if not proof, then at least very strong circumstantial evidence before you publish allegations like these. You say that you “get by with a little help with from [your] friends” pointing out errors, so I would urge you to accept a little help from a long-time 9/11 Truth activist here. For everyone’s sake, please do the mature thing and admit your mistake and issue a retraction before this provokes more needless division. “On September 11, 2008 (more than two years later), the libertarian website LewRockwell.com posted an article by libertarian economist Walter Block. In it, the author proclaimed his preference for the Boston Tea Party’s candidates over those of the LP. Block and other libertarians have expressed discomfort over the ‘unlibertarian’ history of the LP’s 2008 presidential candidate, Bob Barr, a former Republican congressman.” So, this splinter group came about basically to criticize, that is, dump Barr. In any event, not only did the 9/11 Truthers hold an actual event on December 16, (the anniversary of the first Tea Party in 1733), they also returned the next year, in 2007, to significantly expand the Boston Tea Party for 9/11 Truth, including meetings on the explosions in the Towers and the use of nanothermite with Professor Steven Jones, et al, on Saturday Dec. 15th. They gave the Libertarians the use of Faneuil Hall (which they had rented and paid for) on Sunday, Dec, 16., and moved their group to the Boston Commons, marched to Moakley Bridge and tossed a large foam copy of the Report of the 9/11 Commission marked REJECTED along with faux foam boxes of the reports into Boston Harbor. I would say that is very much in the spirit of trying to work together with the libertarians. Above and beyond just a paper filing and commentaries, Ron Paul and the Libertarians subsequently went national with their Tea Party after that, and held a large financial rally on Dec 16, 2007, “a money bomb,” which was reported on CNN. In fact, I’m not exactly sure if the 9/11 Truthers were reimbursed financially for that day in Faneuil Hall. But certainly, they made a genuine attempt to be open and democratic with the Libertarians. Mind you, any pre-empting of the idea whatsoever by Paul and the Libertarians relies on the veracity of this Wiki document. In any event, thank you for your interest in my article and jogging my interest in a “conceivable” precursor of the Tea Party for 9/11 Truth. In the end it call comes down to “keep on keeping on” on behalf of the truth. It looks like this is a case of two different groups using the same historical allusion for their campaigns, but neither “stealing” it from the other. My name is Abraham (or “Abe”) Haim, and I’ve been a member of the 9/11 Truth Movement since day one. I certainly wouldn’t put myself at the level of someone like Griffin or Gage who have done ground-breaking work. I’ve simply been a humble activist working at the local level to get the truth out – printing and distributing thousands of fliers, burning and giving out hundreds of DVDs, etc. Long before We Are Change was born, a small hand-full of friends and I would paint large “9/11 WAS AND INSIDE JOB” banners and display them on Interstate overpasses. Now as for Paul and his people “stealing” the Tea Party idea, you’re likely right that his campaign did get that idea from the fliers they saw laying around in that hall. But I would say this is just what activists (of all persuasions) often do – they’ll take an image or idea they see and run with it. And the original Ron Paul-centered Tea Party movement actually shared many of the principles of the 9/11 Truth Movement, such as its opposition to imperialism and the military industrial complex and its commitment to civil liberties. Unfortunately, much of the Tea Party movement has now been co-opted by Glen Beck, Sarah Pallin, etc., but I don’t think this is Paul’s fault, except maybe to the extent that he and his people failed to more vocally oppose this. Now of course Paul (like many on the “left” who are truly principled “progressives”) has yet to publicly question the official account of 9/11. I don’t know if this is because he’s yet to take a serious look at the evidence, or because he’s made a tactical decision that doing so at this point would do more harm than good. Of course I disagree with him on this, but I think that his libertarian/traditional-conservative base has been, and will continue to be a vital group for the 9/11 Truth Movement to draw support from, so I think it’s important that we do our best to avoid alienating them. I share your goal of marches of millions, and of building strong alliances of dissidents from the “left” and “right.” This is not an easy task, as there’s a lot of distrust on both sides, and the mainstream is constantly working to foster divisions and co-opt movements. So that’s why I commented here – to try and avoid more divisions being needlessly created. Thanks, Abe. I replaced the link to the video you suggested as I already collected it on my vodpod acct. everything you need to know about the real non corporate tea party before the term was coopted and slandered is in john hughes book ”the new american tea party ”. I couldn’t either, I emailed Rocket with a different author’s name so hopefully he will read it and reply. I think he just made a mistake with the author’s name. Try John M. O’Hara as the author. My tone in complaining about the direct lift of the Tea Party event from 9/11 Truth for Mr. Paul expresses some dissatisfaction with him. Paul’s group commited a kind of intellectual theft which indicates a paucity of imagination in coming up with their own campaign ideas. Especially after 9/11 Truth graciously offered them the hall for a day which they had already rented and paid for. I realize that The Boston Tea Party is really a property that belongs to American history, but that doesn’t mitigate idea-lifting. Paul et al should have their own ideas from American history. Two. As to Paul’s joining with Kucinich to bring people together, that is exactly the kind of idea I’m talking about. It took imagination, courage and a wish for the common good. So I’m not condemning Ron Paul to Hades. In fact, I agree with you that the left/right dichotomy is harmful to the US and the world. Unfortunately, the left and the right seem to fail the American people and the world in so many similar ways, lack of touch, corruption, fear of offending voters with the truth, and running like rats into the sea to the pied pipers of mainstream media and their manipulators. Lastly, the members of the 9/11 Truth Movement that you mention who came together from both the “left” and “right”, progressives like Griffin and conservatives like Steven Jones, Richard Gage, and Paul Craig Roberts, had at least three things in common: great intelligence, compassion, and a willingness to buck the flow of convention. They are all outstanding men. Would that we had a million man march made up of them. That might budge this government’s as MLK’s MIllion Man March did years back. And perhaps then you wouldn’t feel exiled from nowhere. In fact, we are all one, beginning as human beings, which is a category no other surpasses. First of all, the Tea Party concept isn’t anyone’s intellectual property, and many different movements have used it between the 18th century and 2001. Third, and most important, the whole left/right dichotomy is not very useful for the world we face today, and only serves to divide and conquer. Sure, there are some important differences between true conservatives like Ron Paul and true progressives like Kucinich, but these two groups have way more in common with each other (at least when it comes to the most important and pressing issues of our time) than either does with so-called “progressives” like Obama and his circle or so-called “conservatives” like the Republican leadership. Fourth, the 9/11 Truth Movement itself is a model for this united front for freedom, with members from both the “left” and “right.” While Griffin and others were long-time progressives, people like Steven Jones, Richard Gage, and Paul Craig Roberts were conservatives. Well, this comment has gotten rather long, but hopefully it will shed a bit of useful insight…. Thanks, Abe. I added the link to the same video you suggested as I had already collected it on my Vodpod acct.